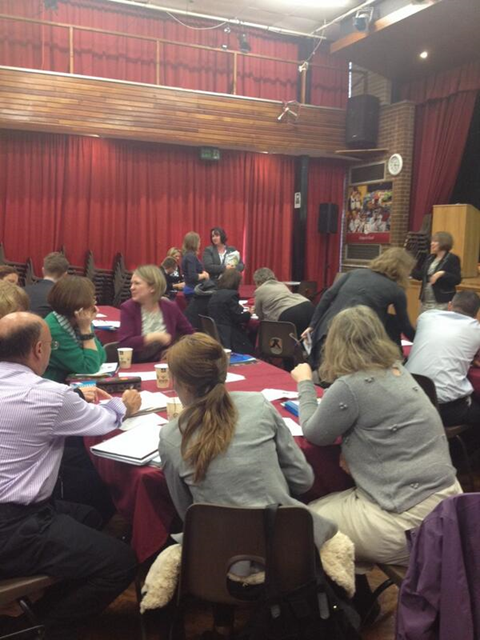 On Wednesday 4th June Beaumont School held its first languages specific Teachmeet, led by Sue Lutz. 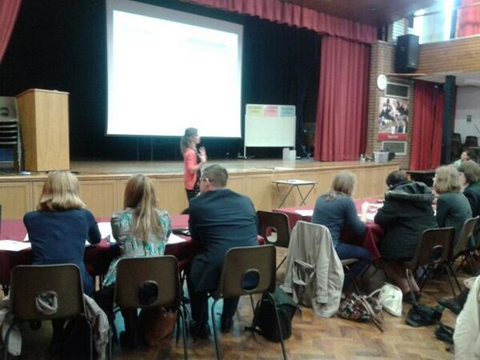 It was lovely to see some former Beaumont MFL teachers amongst the 35 teachers attending the event from 15 schools across Hertfordshire, sharing Teaching and Learning ideas for MFL lessons. The evening began with the opportunity to chat, mingle and share ideas and experiences, fuelled by plenty of tea and cake. The presentations which followed addressed a range of issues including assessment feedback, increasing target language use by pupils, using online resources in lessons and lots of ideas for making language lessons engaging and fun. Indeed there was a party feel to the evening as we heard ideas of how to make revision bunting and how to adapt popular games such as musical chairs, pass the parcel and hide and seek in order to practise questions and answers. Another creative idea was the use of flipcams to record pupils speaking about themselves whilst in disguise so that the rest of the class could be challenged to guess who they were. MFL teachers will now be hunting out their sets of Jenga to practise vocabulary and structures in a fun way, their multi-coloured post-it notes for starters, plenaries and self-assessments, and trying out an array of new websites to make their lessons more interactive. There was a buzz of enthusiasm from the teachers who attended the event, listening to new ideas, chatting, sharing thoughts and trying to remember the former currency of Finland to win the half-time quiz. I certainly came away feeling inspired and energised for the forthcoming half-term, armed with lots of new contacts and ideas to try out in my lessons. I look forward to the next Teachmeet!